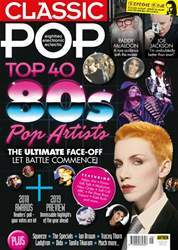 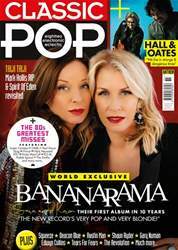 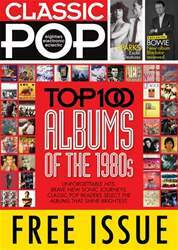 Classic Pop 15 features our in depth interview with synth giant Gary Numan, we explore the discography of Boy George and Culture Club and this issue's 'classic album' is Haircut One Hundred's exceptional debut, Pelican West. 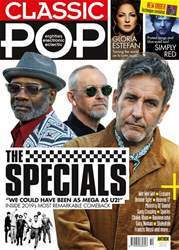 Add to that interviews with China Crisis, Russell Mulcahy and Paul Heaton, as well as features on Bow Wow Wow, Dublin's music scene and TV show The Tube and it's yet another unmissable issue. 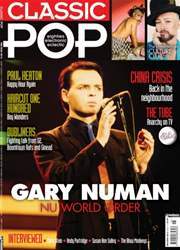 Not forgetting the usual news, reviews and a whole lot more besides.